Smart, Stubborn, Sassy, Social, these are just a few qualities of what I believe to be the most wonderful breed of dog in the world! 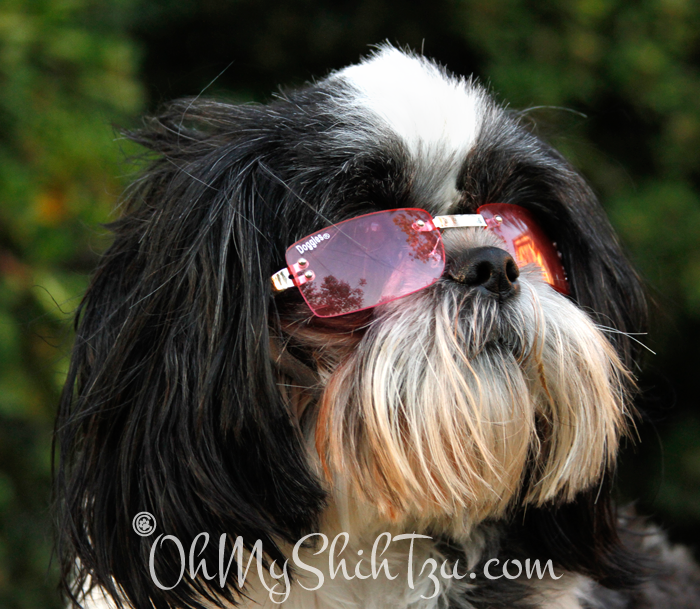 The Shih Tzu is an amazingly loving and devoted little dog. As I sit for hours on my computer working on my photography shoots, or blogging away, all I have to do is look down at my feet and there they are. Shih Tzu are amazingly devoted and extremely great listeners. The can sit on your lap or right next to you and listen intently for hours as you tell them stories with the cute little tilt of their heads as if they really “get” the story. They are the ones there for you when you come home ready to lend an ear or even a shoulder to cry on. Are you in a dumpy kind of mood? Well just sit down and be entertained by this wonderful joyful furball! The Shih Tzu always has the amazing ability to make you laugh, by either their prancy little gate, throwing a toy in the air, being silly or even teaching themselves little tricks to make you laugh. Though Shih Tzus are not known for their intelligence, their ability to be stubborn may sometimes stop an owner in their tracks. But with time a Shih Tzu can and will learn either a trick, basic commands or even run an agility course. As a baby I taught Riley using clicker training, now though she may take 2-3 times longer to learn something, compared to a border collie, once she gets it she’s got it!! Riley loves to give her paw! 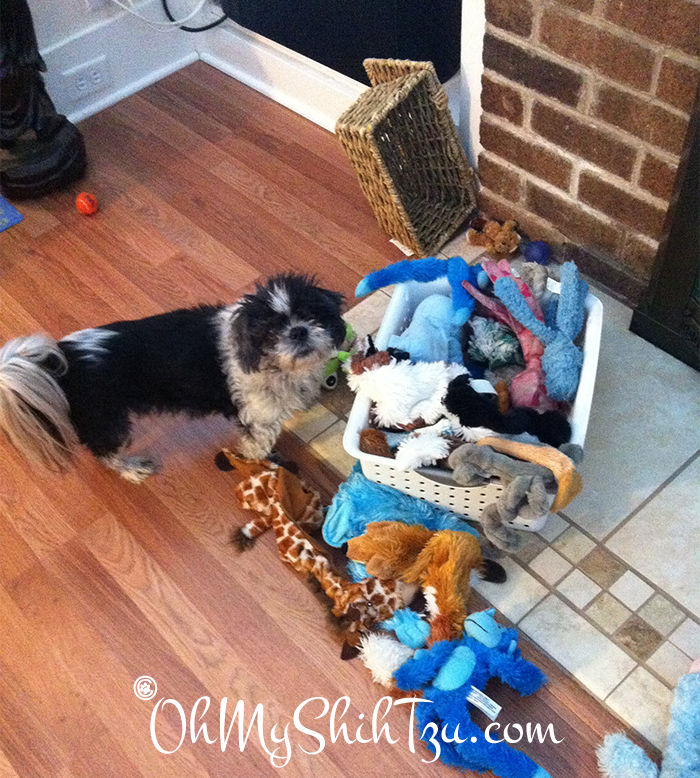 Shih Tzus love to play either by themselves with a toy, or with you! Riley finds an agility course a fun and exciting game of play, while Katie will demand to play with a stuffed toy and me almost every night. 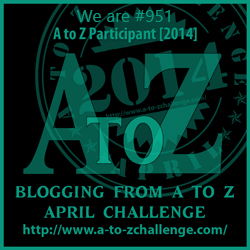 Thank you for joining us again while we participate in the A to Z Challenge. As part of the A to Z Challenge we are joining SlimDoggy with their special pet edition A to Z Challenge blog hop! My mom’s previous two dogs were not into toys… strangest thing. Now she has a Shih tzu rescue named Shadow who throws around a sock monkey like nobody’s business. He hurls the thing up onto the couch and the jumps up after it. He also Shadow boxes, which must be how he got his name. Earl Lover recently posted…S is for Special – A-Z Special of Tasty Tuesday and Earth Day! What fun little doggies those Shih Tzus! Your videos are too cute!